This electric golf caddy "Kingfisher" is an imrpoved model of golf electric trolley "Kolibri". Thanks his new electric-control brake function, the electric golfcart can drive the slope-down very safely. 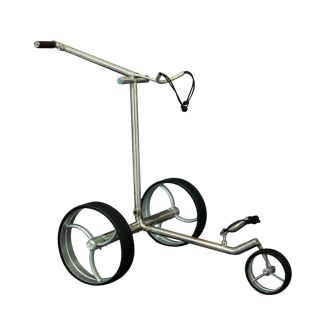 The two high-tech gear motors "made in Germany" realise a nearly noiceless drive on fairway and a slim pack size of 64 * 32 * 17 cm only. 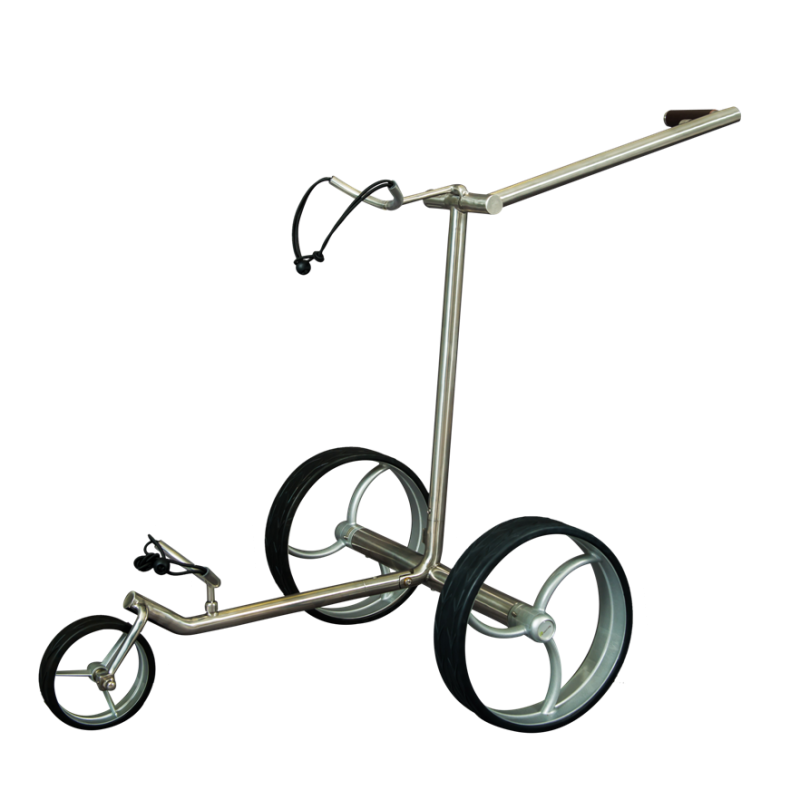 His lithium battery of 8.8Ah enables the golf trolley drive for up to 36 holes. 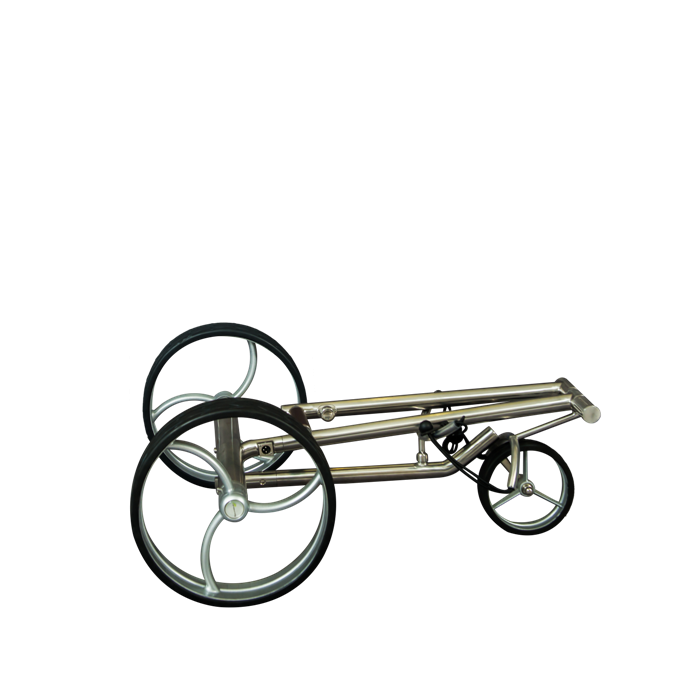 The quickdismantle/quifold-design let the golfcaddy desmontaged or installed within only 20 seconds. 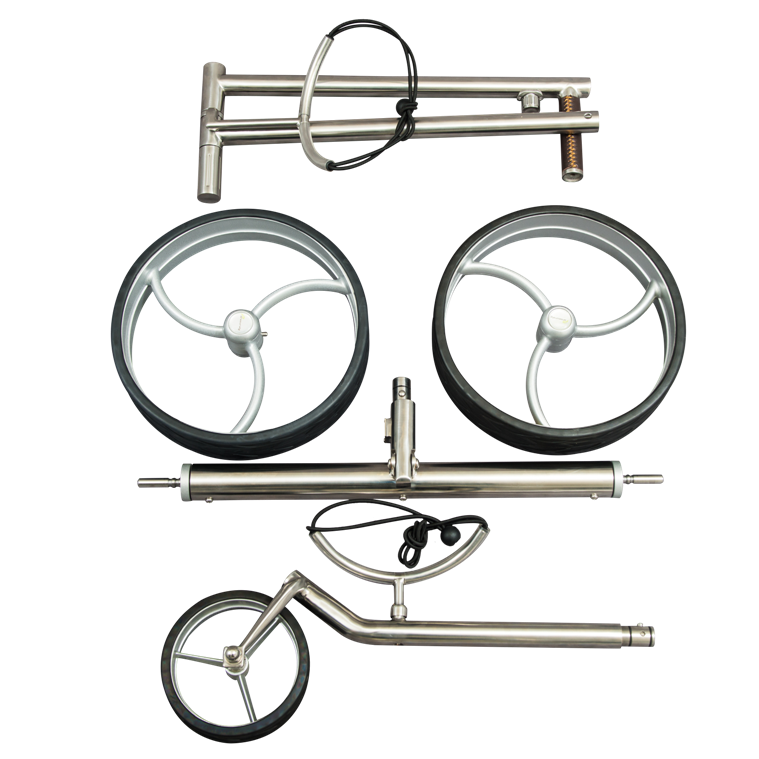 This golfcart draws attention of all thanks to his design. 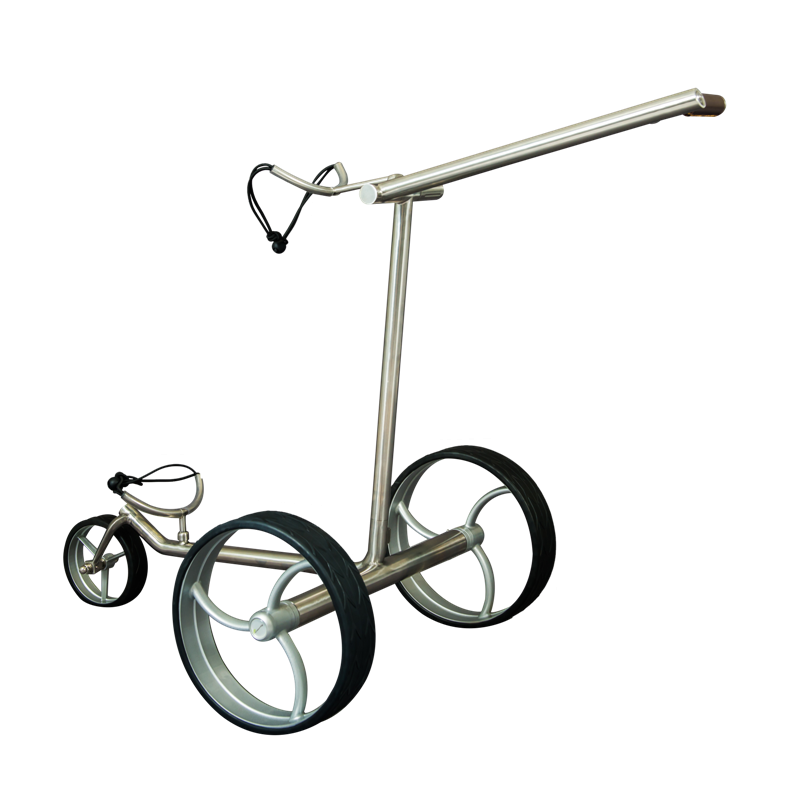 His slim pack size and the lighter weight allows this golf electric trolley simply stowed into you car trunk. Surcharge for a full-set delivery incl. 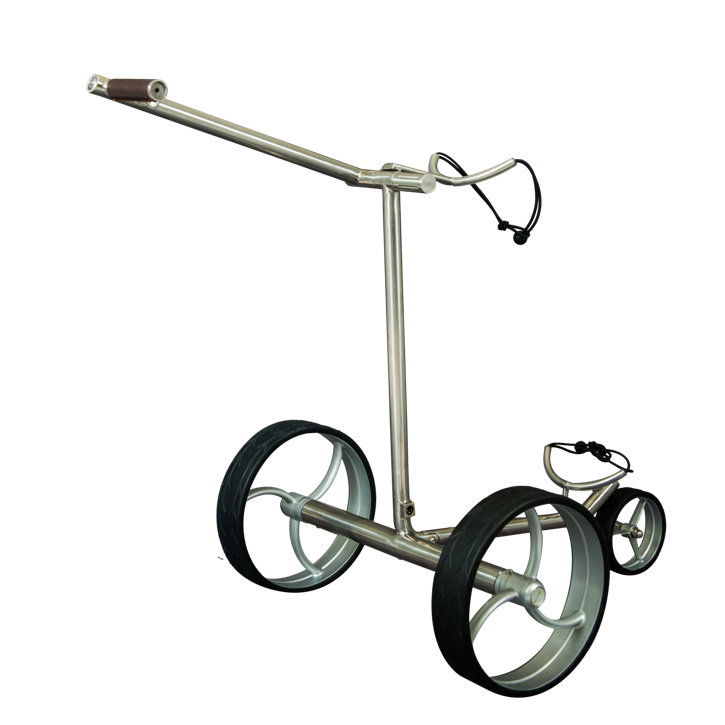 electric golf trolley, travel bag, umbrella-holder adjustable, scorecard-holder with cover panel, quick-dismantle key: EUR 118.00.